Merrill J. Fernando dedicated his life to tea when in the 1950s, he saw the concentration of ownership in the tea industry in the hands of a few large corporations. This was leading to the commoditisation of tea. He decided that in the interest of tea drinkers around the world, and the crop that his country produced with so much care and artistry, he would fight this process of commoditisation. It took him nearly four decades and in 1988 he launched his own brand – Dilmah. 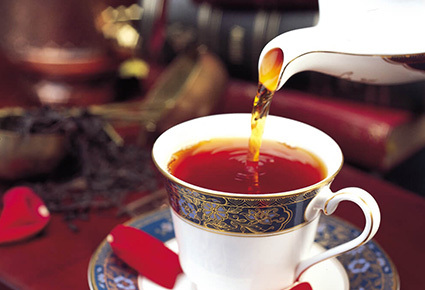 Dilmah was the first producer owned tea brand, and offered tea ‘picked, perfected and packed’ at origin. Unlike the multi-origin blends that monopolised supermarket shelves, Dilmah brought tea that is freshly packed at source and therefore rich in flavour and natural goodness. Dilmah is unique; a brand that is founded on a passionate commitment to quality and authenticity in tea, it is also a part of a philosophy that goes beyond commerce in seeing business as a matter of human service. 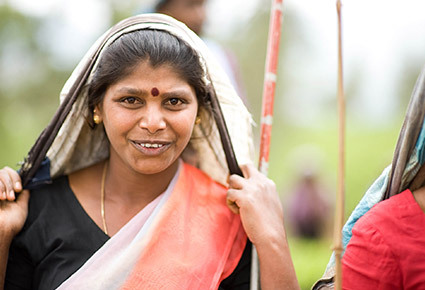 This is what makes Dilmah the first ethically produced tea. In 2005, Merrill and his sons Dilhan and Malik, pledged to follow the principles dictated by the 12 Principles of Dilmah in every aspect of their business and in the conduct of their workers, staff and management. Dilmah Founder Merrill J. Fernando had a unique vision - he wanted to offer consumers the finest tea on earth and to do so with ethics and integrity. That pledge is fulfilled in our commitment to garden fresh, unblended tea of the finest quality. Our Founder’s intention to make his tea ethical, is honoured in the work of his MJF Charitable Foundation and Dilmah Conservation. In making our business a matter of human service, the natural goodness in every cup of Dilmah is extended by the positive humanitarian and environmental impact Dilmah has on comunities and ecosystems.